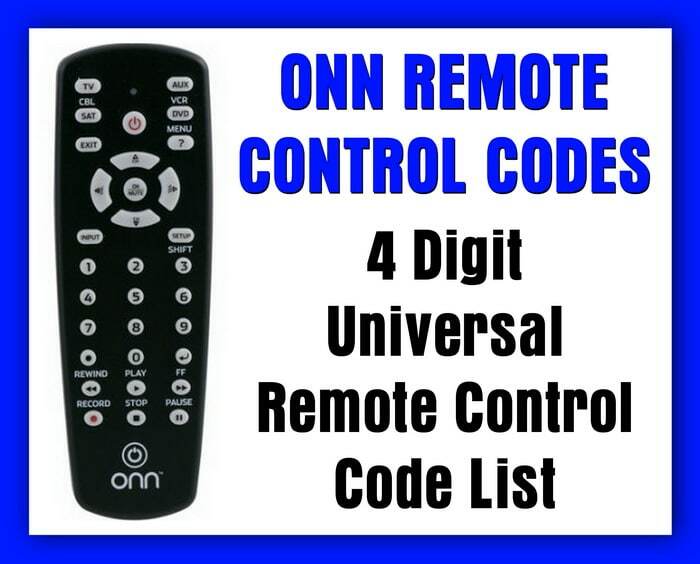 Here is the list with ALL of the 4 digit device codes for ONN Universal Remotes. I have a non remote model number 0Nb13av004 and I lost the code book. I’m trying to program it to my Mitsubishi vcr. The dvd button on the remote also has vcr listed under it so I thought it worked. Does anyone know the codes for Mitsubishi vcr’s? My ONN remote model number onb13av004. Has worked for me in the past. Recently I unplugged my TV. When I come back the remote is not working. I have tried it on tv hdmi1 hdmi2 everything. Automatic code search. Put in the search manually. I have a VIZIO TV. I turn off the tv. Turn it on, have it on tv. Press setup, red light comes on and stays on. Next press tv button. It goes on then off. Entered codes, press on off button after every code, not working. I have tried the above with after pressing the tv button it flashes and entered code, and press the on off button after every code nothing. It did work before unplugging my tv. I have programed it before. What do I do before entering code. Do I have to press the TV button or just the code? Press TV button until it flashes… Then enter Remote Code. I need to know which remote control will work on RCA DTA880. To control an RCA DTA880 TV, you can use either a Universal GE Remote but get the 6 in one. If that is not an option, use an app on your smartphone such as AnyMote. I need a code. The universal remote is a onn and the dvd player is a LG divx. Hi, i have a onn universal remote onb13av004 model but can’t get it to work with viore tv lcd22vx60pb model. What can i do? I have a onn tv that i bought about 2006 it says on the back the model number is xo2623 it also says ce 331400 and stuck on under this is 826031424A My remote bought with the tv no longer works although the tv is good and has buttons on the side to work it. I bought a universal remote control from asda but none of their brand codes worked and as a last resort the remote would not connect automatically (holding the power button after pressing the red and blue buttons for 3 seconds). Can anyone let me know of a brand code that may help or a remote which would be able to connect. This would be very helpful, thank you.